Innovative Cloud & Virtual Solutions to Streamline Operations and Transform businesses The change from traditional software models to the Internet has been gaining momentum for the past few years. Cloud and virtual computing technology have all the benefits of multi tenancy (including built-in security, reliability, upgrade-ability, and ease of use) and are sparking significant changes in application developments. Forward-thinking companies are embracing cloud and virtual computing as a part of the business to further client, partner, and supplier relationships, as well as increase collaboration among employees. RLT’s experienced teams provide a variety of cloud and virtual computing solutions and can help transform your business quickly and efficiently. 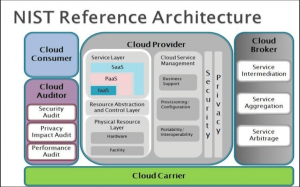 RLT Competencies: RLT provides a full suite of cloud and virtual computing solutions and services, including platform, infrastructure, and software as a service (PaaS, IaaS, SaaS), cloud and virtual planning, and hosting as a service and managed solutions. RLT’s expert teams are dedicated to delivering high-quality, innovative solutions that reduce both risks and cost while vastly improving the efficiency of the IT systems. We understand the difficulties companies face in implementing, maintaining and updating traditional software systems. RLT can help you minimize the time spent on lower-value activities and allow you to focus on the strategic activities that matter with our cloud and virtual computing solutions. RLT’s cloud and virtual solutions promise to increase your organizational agility, improve cost structure, and increase productivity and collaboration. We do our best to support the client through the planning and the migration process. We practice CMMI, ISO, and ITIL processes which help to guide us in developing high quality and best value solutions.